Polycom, Inc. (NASDAQ: PLCM) have announced the worldwide availability of Polycom® RealPresence ClaritiTM , their virtual collaboration infrastructure which provides powerful HD voice, video, content and web conferencing to organisations of any size. Available to be deployed on-premises, in a private cloud or as a public cloud through a partner hosted offering, the Polycom RealPresence Clariti solution allows businesses from SMB’s to enterprises to connect with one another seamlessly and experience the power of professional visual collaboration. Polycom RealPresence Clariti ultimately delivers the full Polycom RealPresence Infrastructure in a simple per-user, per-year model, and features exceptional audio, video and content collaboration that only Polycom can deliver. RealPresence Clariti includes Polycom® RealConnectTM technology seamlessly connectivity with Skype for Business and mixed video conferencing environments, and integrates with native Microsoft Outlook calendars and One Touch Dialing. – Ashan Willy, Senior Vice President, Product Management & Worldwide Systems Engineering. 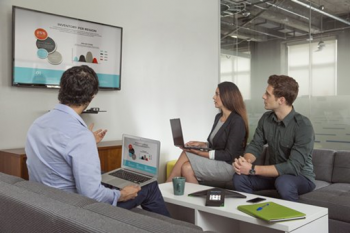 Polycom RealPresence Clariti also includes a world first of optional hybrid cloud bursting, that enables simple management of unplanned and scheduled spikes in usage & network demand. Cloud bursting removes the risk and costs associated with anticipating future demand. When the RealPresence Clariti infrastructure reaches near maximum capacity, new sessions can be automatically redirected to the Polycom cloud, where additional capacity is always available. No longer will large investments need to be made upfront to cover irregular company wide events or major quarterly updates. When is Polycom RealPresence Clariti Available? Polycom RealPresence Clariti collaboration infrastructure software is available now. 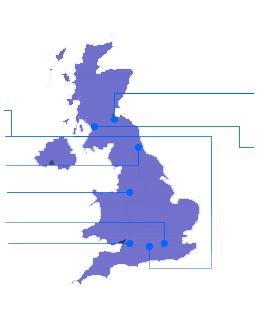 Contact VideoCentric to discuss your requirements or find out more about Clariti.